Key Republican senators will meet Thursday morning to discuss how to proceed as many lawmakers seek to punish Saudi Arabia for the brutal murder of Washington Post columnist Jamal Khashoggi. Several Republicans have joined Democrats in pushing for a resolution that would withdraw all U.S. military support for the Saudi-led coalition fighting rebels in neighboring Yemen, and they are now pursuing other options like the restriction of U.S. arms sales to the kingdom and a "Sense of the Senate" resolution that censures Saudi Crown Prince Mohammed bin Salman for his reported role in the murder plot. 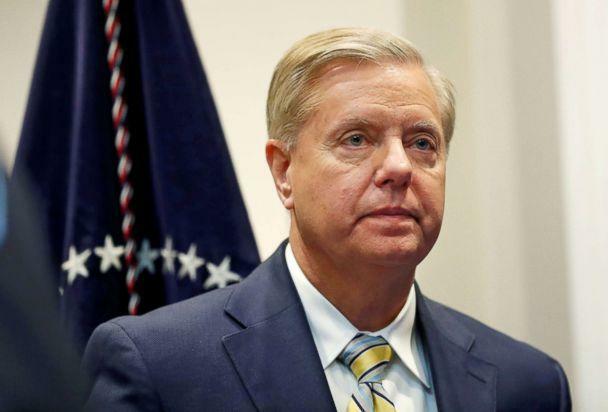 Sen. Lindsey Graham, R-S.C., a close ally of President Donald Trump, said he planned to introduce that resolution on Wednesday. Graham has been an outspoken critic on this issue. It's not clear when that resolution could come up for a vote. While the Yemen resolution cleared a key hurdle last week, it won't come up for a vote until at least next week, a spokesperson for Senate Majority Leader Mitch McConnell told ABC News. The Trump administration and GOP leaders like McConnell are working to kill the bill and prevent other penalties for the Saudis as they defend America's relationship with them. That all sets high stakes for Thursday's meeting as several members of Congress look to send a message to both the White House and the Saudis that it is no longer business as usual. Top Senate Republicans like Sen. Bob Corker, Foreign Relations Committee chairman, and Graham are furious over what they call the administration's stonewalling and deception on the role of the crown prince, sometimes known by his initials MBS. 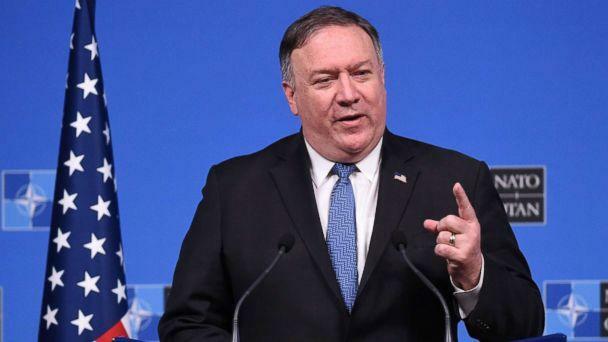 Secretary of State Mike Pompeo and Defense Secretary James Mattis said there's no "direct reporting" or "smoking gun" implicating the crown prince, and Trump has said the U.S. may never be able to know. But according to multiple reports, the CIA intercepted messages exchanged between the crown prince and a top adviser who led the mission while it was ongoing. "I have zero question in my mind that the crown prince, MBS, ordered the killing, monitored the killing, knew exactly what was happening, planned it in advance. If he was in front of a jury, he would be convinced in 30 minutes -- guilty," Corker said Tuesday after being briefed by CIA Director Gina Haspel. 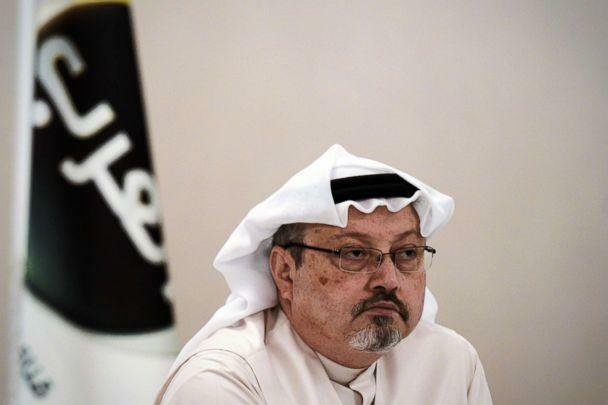 The Saudi Embassy in Washington has denied that, with spokesperson Fatimah Baeshen tweeting Tuesday, "At no time did HRH the Crown Prince correspond with any Saudi officials in any government entity on harming Jamal Khashoggi, a Saudi citizen. We categorically reject any accusations purportedly linking the Crown Prince to this horrific incident." While Pompeo and Mattis also cast doubt on role, Graham dismissed their statements Tuesday as those of "good soldiers" towing the president's line, adding, "You have to be willfully blind not to come to the conclusion that this was orchestrated and organized by people under the command of MBS and that he was intricately involved." With anger bubbling on Capitol Hill, it remains an open question what Congress will and can do next, especially because the White House has fiercely defended the Saudis and the Saudis have warned that any action against the crown prince would be an attack on the country. Still, Graham told ABC News on Wednesday that he was looking to suspend arms sales and U.S. support for the Saudis in Yemen, saying the U.S.-Saudi relationship is "strategically important," but it's also "strategically important that we separate ourselves from the conduct of the crown prince." Graham said his resolution will go "through the parade of horribles regarding MBS," including his military intervention in Yemen, his crackdown on royal rivals and political dissidents and activists, the detention of Lebanese Prime Minister Said Hariri, the blockade of neighbor and U.S. partner Qatar, and the public spat with Canada over human rights. It explicitly says the Senate has "a high level of confidence that Mohammed bin Salman was complicit" and "urges the United States Government and the international community to hold all parties, including Mohammed bin Salman, involved in the murder of Jamal Khashoggi accountable." That bill could be added to the Yemen resolution, according to Graham, who told ABC News he was not inclined to support the withdrawal of U.S. support for the Saudi coalition, but he didn't think any legislation would win enough support without it. At the same time, Corker said he was working on a resolution similar to Graham's, though he would not share details as it is being crafted. 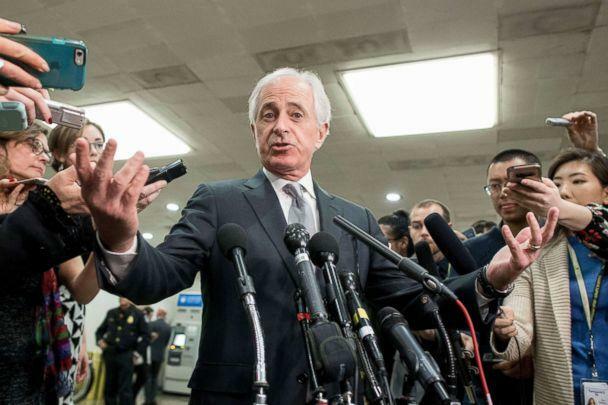 And the meeting Thursday, which Corker is expected to lead, is designed to try to find a consensus “among interested parties.” That product could then be substituted for the Yemen resolution. It's unlikely Trump would support any of that and, at this point, it's unclear whether Congress has the necessary two-thirds support to override a potential presidential veto. But analysts warn that the administration has to do something now to work with Congress before the situation escalates. "If you don't do enough now, then the pressure is going to build because the frustration is going to build for doing something much more profound later on, which may not be in our interest in terms of preserving a relationship that still serves us in the broader Middle East," said Dennis Ross, a U.S. diplomat who served both Republican and Democratic presidents, most recently as a special assistant to President Barack Obama. Critics also say the Saudis need to be sent a stronger message and Saudi reliance on the U.S. means the relationship could sustain a tough one. "The Saudis need us a lot more than we need them," Ben Rhodes, deputy national security adviser to Obama, tweeted last week. "A remarkable show of weakness from the Trump Administration." But one thing seems to be clear: The crown prince is not going anywhere. He has concentrated so much power within the kingdom and he retains strong popularity among young people who see him as a reformer. "The Saudis are not going to remove him because we say so," said Ross, now the counselor and a distinguished fellow at the Washington Institute for Near East Policy. With Graham promising to withhold arms sales until the crown prince is gone, that sets up a difficult showdown in the weeks and months ahead. "Saudi Arabia has never been popular in America, but presidents of both parties have recognized the importance of strong ties with Riyadh," wrote Bruce Riedel, a former CIA official now at the Brookings Institution. "This might not survive the accession of Mohammed to the throne." ABC News' Mariam Khan contributed to this report from Capitol Hill.